Wholesale Personalized Dashboard Auto Compass -Car Compass. Promotional, Inexpensive. Budget Prices for USA, Canada. 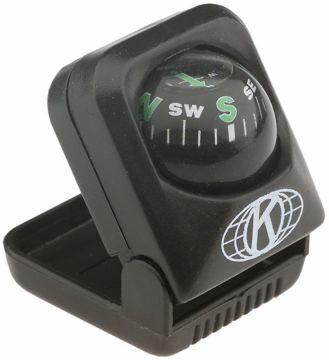 Our bulk personalized car compass is a priceless accessory for any vehicle. It is a top quality 3D globe shaped compass, with great accuracy. Dashboard mount into any car, truck, RV or boat with its strong self adhesive base. We also supply wholesale blank (not custom imprinted) auto compasses at EQP (End Quantity Price). The dashboard car compass sits on a swivel bracket for easy adjustment and viewing from any direction. Budget Prices in USA and Canada for personalized auto compass. American clients pay no taxes. Unit prices below include your 1-color custom imprint. Additional Imprint Colors: add $0.31 per color, per dashboard auto compass. Color: Black with white trim. Size: 1-1/2" x 1-1/2" x 1-1/2"